If there’s one thing we can all agree on, it’s that cellulite, acne, stretch marks, and psoriasis aren't exactly something we choose to have on our bodies. Another popular opinion: Coffee is a true necessity. So we’re pretty sure that the majority of people would be thrilled to know that you can actually treat said skin conditions with coffee. And not just treat—make disappear. 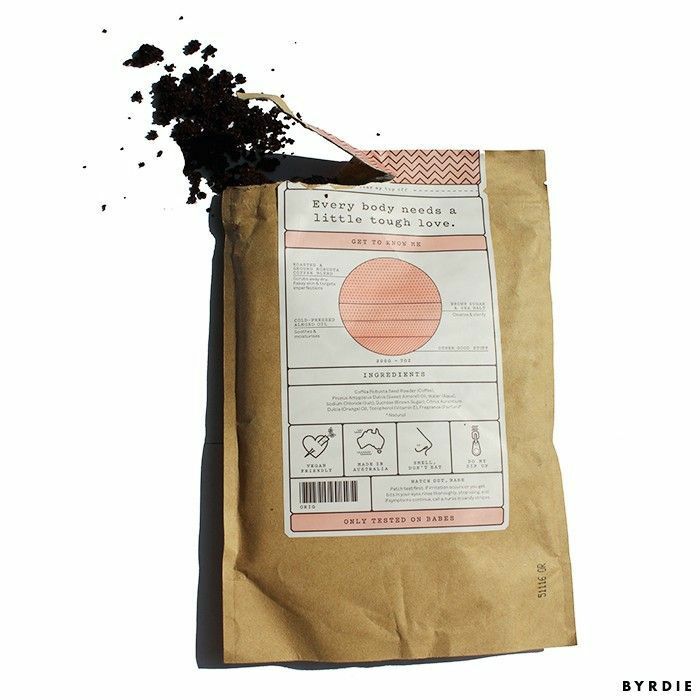 Frank Body Scrub ($15), an all-natural vegan scrub made of coffee grinds, sweet almond oil, salt, brown sugar, and vitamin E, was uncoincidentally born out of the Australian café owned by one of its co-founders, Steve Rowley. He noticed that a few of his customers repeatedly asked for their leftover coffee grounds to use as an exfoliant, so he, along with his partner Bree Johnson and her business partners Erika Geraerts and Jess Hatzis, decided to do some research. They found that coffee, especially when used as a scrub, is a great remedy for the aforementioned skin conditions. The caffeine content targets free radicals and helps stimulate blood flow, making stretch marks, red bumps, and the like a thing of the past. Soon, after an aggressive social media campaign and robust blogger relationships, their fast-growing fan base began sharing their success pictures on Instagram with the hashtag #TheFrankEffect, and the company morphed into one that sells a unit of coffee scrub every 40 seconds. The great thing about this scrub (in addition to its skin-clearing wizardry) is that unlike typical exfoliants, it won’t dry out or rough up your epidermis. Its pH is the same as your body’s, so instead, your skin is regulated and left feeling silky smooth. Frank’s fabulous offerings don’t stop at its scrub, either—the brand also has a body cream and balm, face wash, a lip scrub that smells like a delectable latte, a moisturizer, and more. Keep scrolling to shop our favorites from Frank! Go ahead—we dare you not to try and subsequently lick this sweet-smelling (and -tasting) duo right off your lips. Scrub first to slough away rough skin, and then follow up with the glossy balm for a baby-smooth pout. Does your skin lack moisture? This creamy scrub takes care of that and then some, also drawing out impurities with its activated charcoal. Though it’s targeted for those with acne, psoriasis, and/or eczema, this moisturizer is actually super gentle and can be used on even the most sensitive-skinned users. Check out our interview with Bree on our sister site, Byrdie UK! Are you going to give Frank a try? Sound off below!